Do You Need Your Piano Tuned in Perth? We have partnered with a company that specialises in piano tuning Perth locals are 100% satisfied with. They can perform comprehensive piano tuning, and repair and maintain it required. Depending on your instrument size and location they do offer on site services when suitable. If you'd like your piano tuned in Perth or other regions in Western Australia, please contact us for a quote. Why Do You Need Our Piano Tuning Perth Services? Regular piano tuning is critical for anyone who owns one of the lovely musical instruments. If you want to keep your piano in outstanding condition in Perth, Western Australia, the skilled professionals at Piano Removalists Perth can help you do so with ease. Routine piano tuning service is important for so many reasons. It can make sure that your instrument always performs to the best of its ability. If a single piano component has a problem, it could negatively influence the instrument in general. No one wants to play with an instrument that is out of tune. 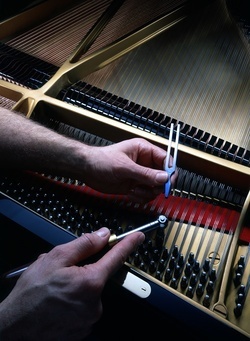 Routine piano tuning service is also essential for damage prevention. Suitable string tension is vital for any piano. If you want to protect all of the intricate elements of your piano at all times, strong string tension is an absolute must. Piano tuning service can ensure the well-being of your piano. People who want to play their pianos without worries, as a result, should make a point to invest in it. If you're searching for qualified piano tuners Perth residents can count on, Piano Removalists Perth is without a doubt the perfect solution for you. We have access to seasoned experts who have significant experience with pianos. They understand the special needs of these instruments. They know exactly what to do to keep them in fine working order. If you want to put your confidence in professional piano tuners who are dedicated, knowledgeable and passionate, no company in Perth can assist you quite like we can here at Piano Removalists Perth. Pianos all go out of tune once in a while. It doesn't matter how often you play your piano. You may play it enthusiastically on a daily basis. You may play it once in a blue moon. Tuning is essential for it regardless. 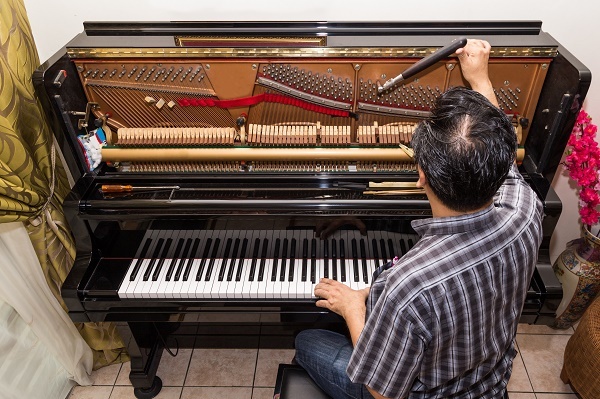 If you want to put your instrument in the hands of the most trusted and capable piano tuning aficionados in all of Perth, Piano Removalists Perth can take amazing care of you. We can help you keep your piano working great all year long. Note that shifts in the weather can often affect the tuning of a piano. Piano owners should tune their instruments two times a year. If you're serious about keeping your piano in top condition, you should recruit the assistance of professional tuners each six months or so. Certain factors can influence your piano tuning frequency needs as well. New pianos generally have to be tuned more often than their older counterparts do. If you're the proud owner of a new instrument, it may need four professional tuning sessions until it reaches a full year in age. Piano Removalists Perth is a company that prioritises affordability. If you're interested in professional piano tuning service that isn't overpriced, you can lean on us. Our piano tuning rates are budget-friendly and always will be. If you're in need of five-star professional piano tuning Perthlocals can believe in, Piano Removalists Perth is on hand to accommodate you. Call us today for more information and to schedule an appointment. 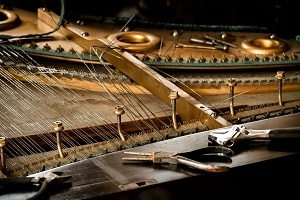 We can give you access to piano tuners Perth can rely on 100 percent. 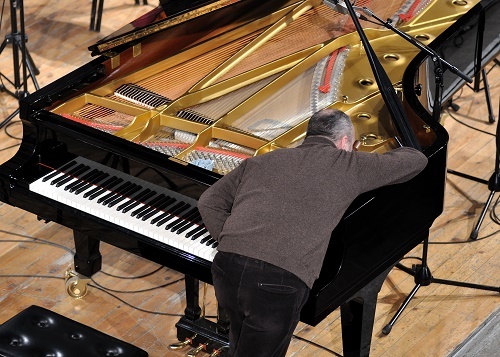 We are a company that can help you with a wide range of diverse piano maintenance needs. If you're on the lookout for proficient piano tuners Perth can count on, our company can wow you with amazing and comprehensive work. Our staff members can assist you with more than just standard piano turning service, too. They can also assist you with tone enhancement or voicing service. Tone enhancement service can do wonders for pianos. It can help pianos achieve sounds that offer much more clarity. The service can help the pianos attain stronger tonal quality as well. If you want to improve the tone of your piano, there's no finer bet than to recruit our helpful and knowledgeable guidance. Voicing, in short, refers to the adjustment of an instrument's sound quality or overall tone. You can shift tone without interfering with pitch in any way. If you're searching for world-class tone regulation and voicing assistance in Perth, it's time to reach out to the team here at Piano Removalists Perth. Phone our company as soon as possible to learn more about our in-depth tone enhancement expertise. Contact us right away to reserve an appointment for our exceptional work, too. Pianos are elegant and beautiful musical instruments. Everyone knows that. They're not indestructible, however, and because of that are prone to problems just like anything else in life. If you suspect that your prized musical instrument is for any reason in need of professional repair service, Piano Removalists Perth is on hand to save the day. 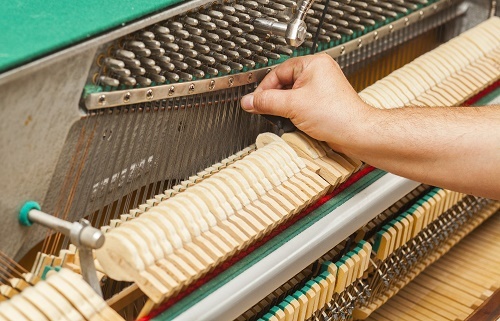 Our piano repair specialists can help you take care of a broad range of different service requests. They can help you solve any problems that involve keys that are persistently sticky. They can help you take care of mechanical troubles with your piano as well. If you need assistance from piano tuners Perth can rely on for superb repair work, Piano Removalists Perth is available to aid you. Call our company today to make an appointment for our high-quality repair service. Piano Removalists Perth is a full-service company that specialises in a vast range of piano services. We can help you with everything from standard piano tuning to pitch raising and beyond. If you want to prepare your musical instrument for an upcoming professional tuning session, pitch raising can go a long way. Our pitch raise service can be extremely helpful to pianos that have not been tuned in a while. If you're looking for the most reliable and meticulous pitch raising service in Perth, Piano Removalists Perth is the answer. Call our local company as soon as possible to learn more about our pitch adjustment abilities. Contact us without delay to set up an appointment, too. We simply can't wait to work with you.